For powder, granulates and small components. 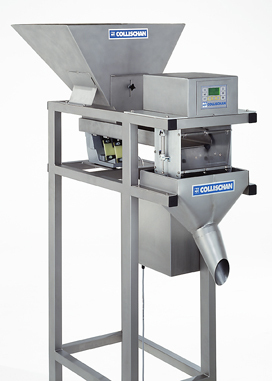 User-friendly operation of the weigher with LCD screen, clear text and data input via keypad. Different models of weighers designed for weights ranging from 5g - 5000g . There are special versions of WeighFillers ranging from 0,05g - 10g These models are suitable for weighing, dozing, counting and filling of pharmaceutical tablets, powder and granulates . Automatic monitoring and regulation of the speed of internal vibratory conveyor feeding product to dosing weighers. 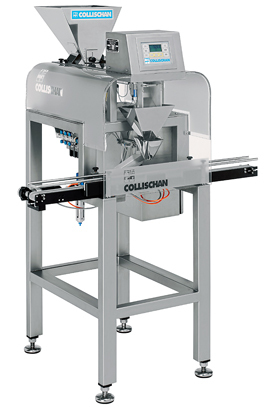 Except for a few parts, Weigh Filler Model S 700 is exclusively manufactured from stainless steel. Due to design using single internal vibratory conveyor feeding weighers, the unit is very compact, easy to maintain, operate, and clean. An adaptive control algorithm control the S 700 internal vibratory conveyor. All parameters necessary for weighing process are automatically calculated, monitored and adjusted, so only values for target weight, tolerance limits and output need to be entered. So it is only necessary to enter Options for synchronization include an external signal for fill weight discharge (for example from a form fill and sealing machine), manual fill weight discharge input (foot switch), or internal trigger (for example conveyor with indexing system for filling in plastic containers, cans or glasses).